A rock opera is a collection of songs that dramatically tell a story and Sam Villa’s story is all in the details. Let the music take you away to vivid details in cutting and finishing that have a rebellious urban feel, yet are practical and functional. 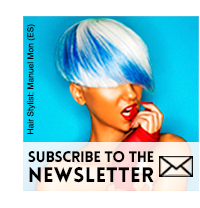 The message is: the haircut is back with clever structural lines, layering has evolved with detached irregular patterns, and spot finishing is key for enhancing natural texture and control. Braids, knots, twists and plaits continue to bring interest and accessories add drama and polish. 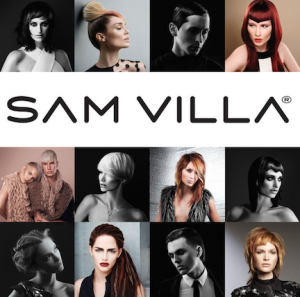 Sam Villa, 2017 NAHA Lifetime Achievement Award Winner, is inspired by connection and pledges to be a resource for the linking of ideas and people in the salon industry. New Products: The Sam Villa Artist Series 2-in-1 Marcel Curling Iron and Wand 1” – Create today’s soft texture by free styling to form multi-textured styles with both a Marcel curling and wand. This iron is unique in two ways: 1. It has a 1” barrel circumference (the most popular size) with the added benefit of the barrel length being 3/4” longer than traditional irons, making it ideal for longer hair. 2. With the simple touch of a button it can go from a Marcel iron to a wand. Sam Villa Signature Series Professional 1” Curling Iron – With an extended ceramic barrel and heating element, this iron provides more surface area for styling and distribution of heat throughout the entire barrel. It’s also designed with targeted temperature technology, which maintains consistent temperatures (without spikes) for specific hair types to protect hair from the stress of thermal styling.